Even modern homes can benefit from the warm glow of a real fire, and you’ll discover a wide range of contemporary fireplace designs that have been created to enhance clean lines and features. 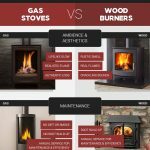 Whether you prefer a wood burning fire, a multi fuel fire or one of the modern gas or electric fireplaces, you’re certain of finding one that meets all of your requirements. 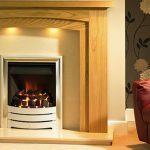 Widescreen fireplaces are highly popular and will give any contemporary style room or space a touch of class and elegance. These beautiful fireplaces are valued for their clean lines and are normally situated above floor level to give rooms balance and symmetry. They are highly versatile and can be built into almost any wall providing there is adequate ventilation, and their placement is often simply a matter of personal taste. These eye catching fires create a spectacular focal point and a typical fire might be placed 30 inches off the floor and will measure around 54 inches from edge to edge. Don’t worry if your room isn’t quite large enough to accommodate a 54 inch fireplace. Widescreen doesn’t necessarily mean over large. The beautiful widescreen fireplace below was created for a home in Denver, USA and is 38 inches from edge to edge. Many contemporary fireplaces have unique features and this one has interior illumination that provides a striking focal point whether the fire is being used or not. 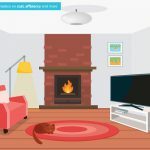 Many homeowners enjoy clean, easy to care for gas and electric fireplaces, while for others nothing can compete with a real flame created by burning fuel. Wood burning fires are a clean and environmentally preferable alternative to traditional coal, and today you’ll find contemporary fireplaces that incorporate the warmth of a wood fire and the sophisticated lines of a cool, modern housing. Turning widescreen on its head, this contemporary fireplace design works beautifully. 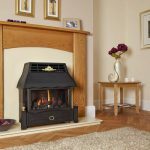 The wood burning stove is given an on trend makeover with an elongated version of a traditional hearth and mantle design. Ideal for rooms where space is at a premium, this stylish fireplace combines the benefits of a traditional fuel burning stove with the style and flair of a modern housing. 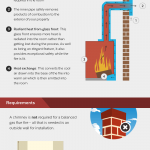 Perhaps you don’t have a flue or chimney and think that a real fire is out of the question. 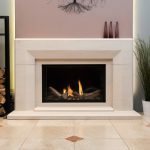 Bioethanol fireplaces provide the perfect solution for homes where there is no flue or ventilation, and they’re ideal for flats, garage conversions and small spaces. Why not design a contemporary fireplace to your own specifications? An exciting range of materials such as natural granite or limestone, marble, glass, brass, copper or cast iron can all be used to make the bespoke fireplace you dream of. There are contemporary fireplace designs to suit all preferences, and the possibilities are endless. 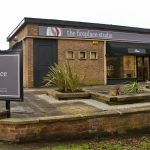 Here at The Fireplace Studio, we are proud to stock and supply a wide range of beautiful contemporary fireplaces and fireplace surrounds to suit all tastes. For more information, visit our showroom or get in touch with us on 0115 798 0598 today!